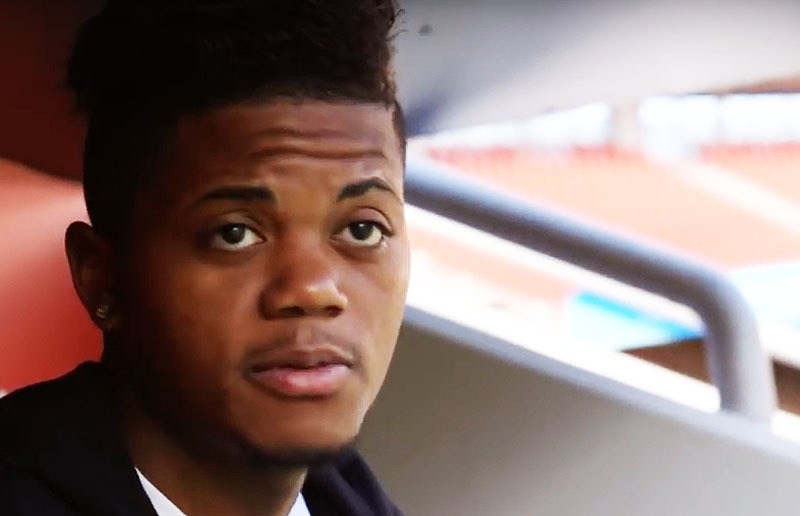 LONDON, Sporting Alert — English Premier League champions Chelsea have made the first bid for Jamaican winger Leon Bailey, according to British newspaper, the Daily Mail. Bailey, one of the hottest prospect in European football, has been in impressive form so far this season for German side Bayer Leverkusen, and he’s reportedly being “seriously” monitored by both Chelsea and Barcelona. In an effort to beat the Spanish giants to the signature of the 20-year-old, the Mail reports that the Blues sent scouts to watch the Jamaican impress against Stuttgart last Friday. The Sun also claimed the Blues have scouted the player on three occasions this season. After watching the young starlet tormented the defense with his skill and pace and set up both goals in the 2-0 win over Stuttgart, the Premier League side apparently lodged a £22million bid to Bayer Leverkusen for a January window move. It is understood that Barcelona who will battle with Chelsea in the round of last 16 of the Champions League, intend to make an offer for Bailey as well, as they see him as a long-term prospect. For the Blues, the future of winger Willian remains questionable and have identified Bailey as a long-term replacement for the Brazilian international. The Mail also reports that Antonio Conte and the big boss are “all in” for the Jamaican winger, but are not prepared to go crazy in the January market. It is believed Premier League sides Manchester United and Liverpool have also shown interest in the player. Bailey moved from Belgium side Genk to Bayer Leverkusen in January for a fee in the region of £11.5m.